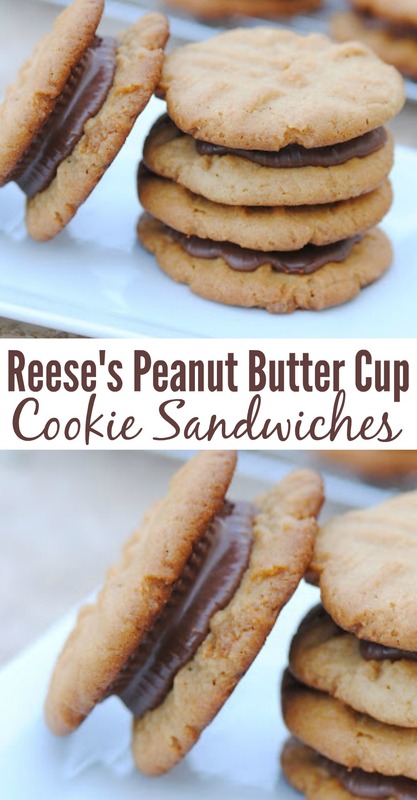 I have to start by saying these Reese’s Peanut Butter Cup Cookie Sandwiches are DELICIOUS! Especially if you love peanut butter and chocolate as much as we do. And, the best part – they are super easy to make! First, make peanut butter cookies. While they are cooking and your house smells amazing, remove wrappers from peanut butter cups. When cookies come out of the oven, let cool for a few minutes. Remove cookies from cookie sheet and place on cooling rack. As you place cookies on cooling rack, put a Reese’s Peanut Butter Cup between two cookies to form sandwiches. Let cookies cool completely. 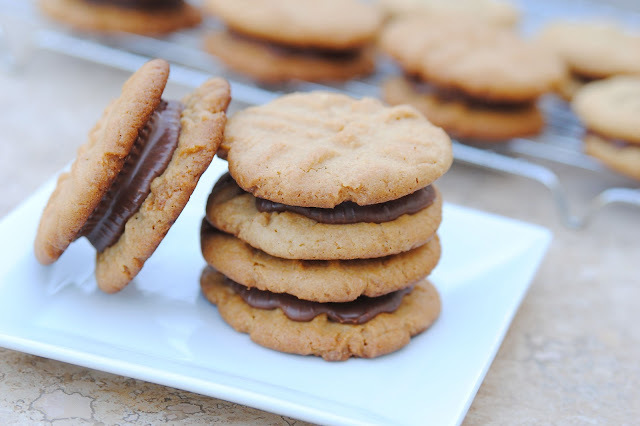 Now take a bite of these delicious Reese’s peanut butter cookie sandwiches!! All I can say is YUM! What a fabulous sweet treat. I don’t think I’ll be able to eat plain peanut butter cookies again. In larger bowl, beat butter, brown sugar, and peanut butter until well blended. Gradually add flour mixture to peanut butter mixture, beat until well blended. Shape dough into 1-1/4 inch balls, roll balls in granulated sugar. Place on ungreased cookie sheet. With the tines of a fork, flatten ball. Flatten again in opposite direction, forming crisscross marks. Bake 9 to 10 minutes until light brown and cookie is set. Cool slightly, Remove from cookie sheet to wire rack. Sandwich Reese’s Peanut Butter Cup between two peanut butter cookies. Let cool completely. yummmm! what a nice and simple idea….makes me want to cook right NOW! Oh my! It needs to cool off so I can start baking again. This will be on the list. In a word: YUM. I wanna eat this pronto. 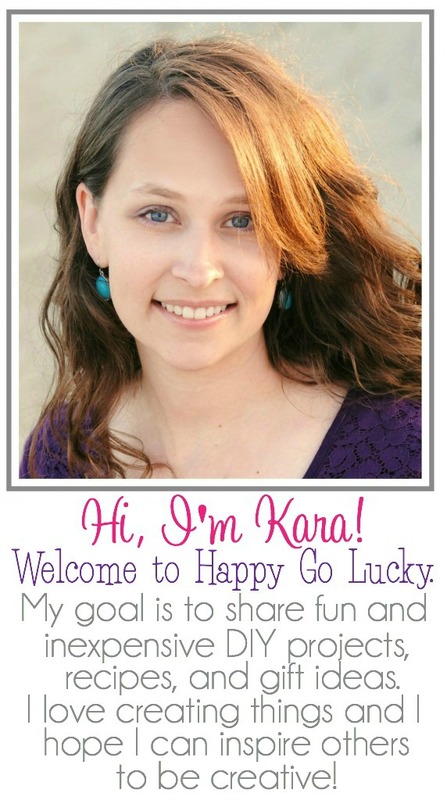 Kara- Nailed it! Perfect combo- PB and Chocolate! Easy as 1-2-3- THANK YOU!!!! !